With all the controversy that keeps popping up over Baby, It’s Cold Outside. . . .
and no doubt many more…. so much ado as new semantics clash with perceptions of old values, but curiously not a word, at least none I have noticed, about the role the song played in the rise of anti-Western terrorism. Seriously …. it was a turning point in the life of the man who was to become the ideologue of Islamist terrorism, like a certain decorated corporal learning of the Treaty of Versailles . . . .
A famous tipping point for Qutb that seems to pop up frequently in any discussion of his experiences in America was a church dance, and not least the lyrics of the pop song being played, Baby It’s Cold Outside. Yes, we know that suicide terrorists regularly announce that they are killing in the name of Allah and they quote the Koran to justify what they are doing. And, of course we should, must, listen to what they say and take it seriously. Far from denying any of that, I think it is all necessary information that needs to be registered and understood if we want to understand why some people proclaim that they “love death as we love life”. One Vridar reader recently invited me to read an article that presented a point of view contradicting the one in my two recent posts on Jihad and Death. The article is Islamic Terrorism is Motivated by Religion, Not Retribution. Let me explain as simply and clearly as possible why I believe the article is misguided. then obviously we are forced to conclude that Islam is responsible for terrorism. The article makes the comparison with neo-Nazis. It is obviously the ideology of the neo-Nazis that motivates their hate and racism; it ought to be just as obvious that it is Islam that motivates the Islamist terrorists. It is the second point that is ill-informed. Islam has been around for a long time but the Islamist terrorism that we are witnessing day is a very recent development. It is a very “new thing” claiming to be inspired by something very old. It is like a modern day Jonestown type cult claiming to have rediscovered long-lost “truths” in the Bible of which the mainstream churches have for centuries forgotten or even heretically left behind. Look into the cult’s origins and you won’t find the Bible despite the insistence of cult members that the Bible is their sole authority. No, they have learned to interpret and apply Bible verses the way a cult leader has taught them in other writings and sermons. 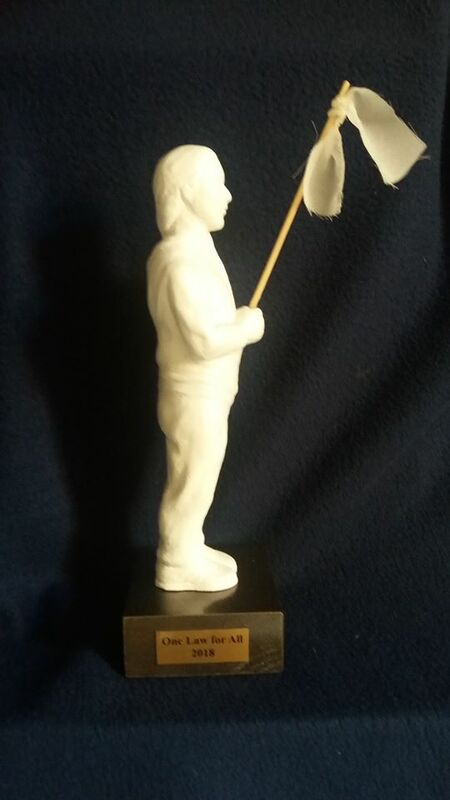 The question to ask is, What factors cause a person to join such a cult in the first place?
. . . I recalled Grandpa and his students, many of them clerics trained in madrassas in India and Bangladesh, talking about the Jamat-e-Islam in disparaging terms. I had heard many of these conversations taking place between imams in various towns, and they complained about the increasing influence of jamat-e-Islami activists in their mosques. They had sought clarity from Grandpa about the nature of the Jamat-e-Islami, and Grandpa had spoken repeatedly about a man named Abul Ala Mawdudi. Likewise with Islamist violent extremism. Modern day “prophets” have written their own politico-religious ideologies that they claim to be based on the “long-forgotten truths” of the Koran and hadiths. The first was Qutb with Milestones. (The links are to Vridar posts on the topics. See the side box for the initial reception among religious Muslims on another early jihadist ideologue, Mawdudi.) Others have followed. One of the most influential is The Management of Savagery by “Naji”. My recent post mentioned Al-Awlaki, a major influence among English speaking recruits. Those writings, not the Koran, are the Mein Kampfs of jihadism. 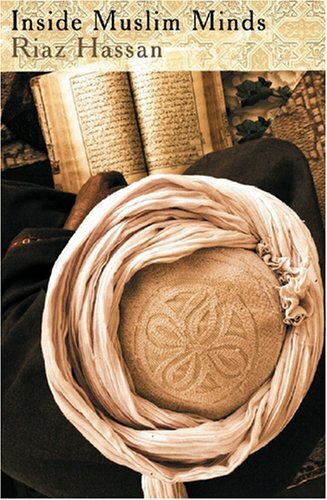 Those writings lead persuaded readers to reject the preachings and Koranic studies of the imams and to quote-mine the Koran for proof-texts to justify their political and ideological agendas. If we want to understand radicalism we need to go beyond what the extremists themselves say about their motives. Yes, we must listen to them, of course, and understand their world-view. But to take an extreme analogy, if someone says he believes God told him to kill someone, we don’t necessarily take his word as the whole story. We ask, Why did he believe God told him to do that? Is he mentally ill? Schizoid? Some extreme Christian cults do horrible things, but it is hard to say that Christianity is to blame when most Christians deplore what they do. Instead, scholars study psychological and sociological factors that are associated with persons joining extreme or bizarre cults. Same with Nazism. It would be ignorantly simplistic to blame Nietsche or even Socialism for the National-Socialist (Nazi) movement. If we want to understand poverty we can blame the laziness and self-indulgence of the victims or we can take a more comprehensive view that includes a study of the institutional factors that have created a class of down-and-outs. Many communities are enlightened enough to know that policing alone is inadequate to confront the problem of youth crime. Most parents know that youth behaviour is complex. So positive youth programs, clubs, recreational venues, and so forth are also very important. Any attempt to blame Islam for terrorism runs into a few facts that belie that charge: jihadism is a very recent phenomenon — that is, it has only very recently emerged to become associated with the Muslim world; it has attracted only a very few, many of whom are largely ignorant of the details of the Koran and Islam and who often do not practice a religious life; and most Muslims deplore terrorist violence and are even overwhelmingly the victims of it. If the religion of Islam is responsible for modern jihadism then we have to somehow explain why Islamist suicide bombers and other murderous jihadis were not part of our landscape for most of the twentieth century and earlier. We need to explain why most Muslims condemn their violence and why, given the larger picture, terrorists target mostly Muslims. We need to build up a big picture. That will include listening to what the jihadis say about their motives but it will not naively assume that that is the entire story. After all, most followers of the Koran deplore terrorism so saying Islam causes terrorism makes no sense. It does not explain why a handful of people, contrary to the overwhelming majority of believers, say they are so motivated. This post is only addressing the reason I am convinced that we cannot accuse the religion of Islam itself of being responsible for terrorist violence. I am not addressing here the studies that do explore, through data-based research, a more comprehensive understanding of what lies at the root of this modern horror. Origins of Islamic Militancy & Why attack West? And several on ISIS, including…. Terrorism Facts, #2: Motivations and Goals,1980 to 2001 . . . Terrorism Facts #3: Is Occupation or Religion the Better Predictor? Can Democracy Survive a Muslim Election Victory? John Esposito’s Who Speaks for Islam? Is fear of Islam a healthy fear? There are many more posts accessible by searching for terms like “terrorism”, “islamism”, “islam”, “islamic state”. 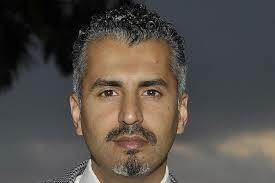 Maajid Nawaz comes across to me as a flawed leader in the constellation of counter-extremist efforts. There is no one cause for radicalization and different motivations propel different persons in that direction. 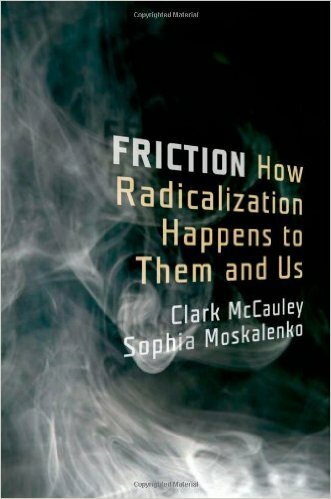 I once posted that I saw Maajid Nawaz as an example of a “status seeking” radical, following the descriptions of a wide range of historical extremists by Clark McCauley and Sophia Moskalenko in Friction. Such a motivation would explain what I think has been Maajid Nawaz’s biggest mistake — collaborating with a genuine “anti-Muslim extremist”, Sam Harris, with the publication and promotion of their jointly authored book, Islam and the Future of Tolerance. The association has certainly lifted Maajid’s public profile at a time when reports that he had not fully honest about his past began to surface, but it would have been, well, possibly more appropriate for him to admit and apologize for past errors and move on by building on his experiences instead of offering opportunities for the Sam Harris’s and Jerry Coynes to falsely use him to promote prejudices he himself opposes. But, then again, there is money involved, and the need to sustain a cash flow for his organization, Quilliam. He has put himself in a difficult position. Wheh! After all of that introduction, now to the point of this post. Salon.com has posted an interview with Maajid Nawaz where he is given a chance to explain himself and what he stands for, along with a commentary on the term he coined, “regressive left”, that has taken on entirely new connotations among Islamophobes like Sam Harris and Jerry Coyne. 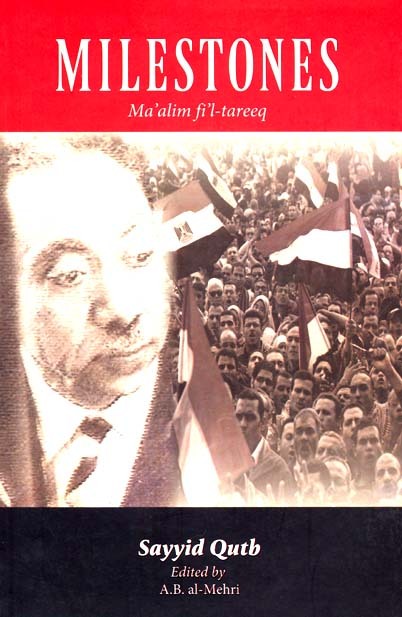 Nazi ideology was set out by Adolf Hitler in Mein Kampf, Communism was explained for all by Karl Marx in The Communist Manifesto, and radical Islamism was planted with Sayyid Qutb‘s Milestones. 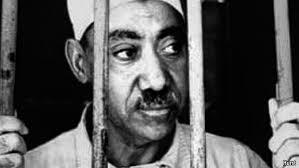 Qutb was hanged in 1966 for involvement in a plot to assassinate Egypt’s President Gamal Abdul Nasser. Qutb’s ideas appear to have been more deeply entrenched as consequence of his various experiences during a visit to the United States 1948-1950. James Nolan includes Sayyid Qutb in his book, What They Saw in America: Alexis de Tocqueville, Max Weber, G. K. Chesterton, and Sayyid Qutb and there is an interesting interview with James Nolan his book (with an emphasis on Qutb) at The violent legacy of Sayyid Qutb’s visit to the USA on Late Night Live. Racism in America was another stench that outraged him. I want to follow up Nolan’s interview about Qutb with some comments on Milestones. Milestones is said to have been studied intensively by Osama Bin Laden and other Islamist leaders today. To anyone who has read Milestones its influence is very obvious in the propaganda pronouncements of ISIS today. I would even say that it is essential reading for anyone who is genuinely interested in understanding the Islamist movement and the ideology behind Islamist terrorism. It is not the only work of significance (I have mentioned others, especially Management of Savagery), but a reasonable case can be made that Milestones is “where it all began”. I have never had any personal interest in the Muslim religion but reading Milestones evoked a very strong sense of déjà vu for me. I was transported back to the days when I was reading the Armstrong literature that led me into the Worldwide Church of God cult. All the same buttons were there. Press the one to arouse uncompromising idealism. Press another to stir up the thrill and heavy responsibility of being part of a vanguard movement destined to change history and save mankind. What was needed was a long-term program of ideological and organizational work, coupled with the training of a dedicated vanguard of believers who would protect the cause in times of extreme danger (if necessary by recourse to force) and preside over the replacement of Jahiliyyahh by the Islamic state. . . .
meaning to its declaration that Allah is the true Lord of all and that all men are free under Him. . . .
Mankind can be dignified, today or tomorrow, by striving toward this noble civilization, by pulling itself out of the abyss of Jahiliyyahh into which it is falling. And there’s the other one for confronting hypocrisy and setting one on the path to become a self-sacrificing heroic martyr. It’s all there. All the buttons that start certain people on the road to radicalization, to extremism. And it’s all backed up by the special insights of the godly founder-figure who came to understand more deeply than anyone else the ultimate truths in the Holy Book — in Armstrong’s case, the Bible; in Qutb’s, the Qur’an.
. . . I have set down the deep truths which I grasped during my meditations over the way of life presented in the Holy Qur’an. . .
To say that the Muslim religion or the Qur’an is ultimately responsible for Islamist extremism and terrorism today is just like saying that Christianity and the Bible are ultimately responsible for Armstrongism, Dave Koresh, Jehovah’s Witnesses, Jim Jones. Well, yes, in a very general sense they are, but only in such a general sense that the link become meaningless. Just as cult leaders denounce their mainstream religionists as “false brethren”, so in Milestones we read repeatedly of the falseness of mainstream Muslims. Lastly, all the existing so-called ‘Muslim’ societies are also Jahili societies. We classify them among Jahili societies not because they believe in other deities besides Allah or because they worship anyone other than Allah, but because their way of life is not based on submission to Allah alone. . . . The people in these countries have reached this wretched state by abandoning Islam, and not because they are Muslims. Just as cult leaders claim special insights into the Bible, so Qutb claims that his own understanding of the Qur’an is the result of long periods of study and reflection. His interpretations were not obvious at first. In fact, in Milestones he goes to considerable length to counter the arguments of mainstream Muslims condemning his extreme view of jihad and killing the faithless. So you think the belief in being given forty-two virgins in Paradise is a motive to kill and die? Rubbish. Not a single breath of a hint of any such self-interested motive seeps into Milestones. Very much the contrary, in fact. There is a vast chasm between teachings of heavenly rewards and the actual triggers that initiate the behaviours of cultists. I began by comparing Milestones with Mein Kampf and The Communist Manifesto. It’s appropriate to conclude with a link back to an earlier post — ISIS is a Revolution, born in terror (like all revolutions) — in which Scott Atran argues that the Islamist extremists we face today are indeed part of a worldwide revolutionary movement that must be stopped. You can download Milestones here or here. I have enjoyed or found profitable a recent exchange with a commenter calling him/herself pastasauceror in relation to my post, Why Petty Criminals Can Radicalize within Weeks and Kill Dozens of Innocents. As the conversation has proceeded we have found it increasingly difficult to keep our comments brief. It’s so damn hard to read walls of text in the comments, so I have moved the most recent exchange to this post for a fresh start. I know I have sometimes put my foot in it and expressed myself in ways that have been offensive and I have tried to backtrack and learn from those mistakes. I do appreciate pastasauceror’s patience in continuing with the conversation. I have been attempting to understand if conversation between such opposing views is possible, and if not, why not, etc. I do hope it is. I copy here the most recent exchange, slightly edited. Indented sections are pastasauceror’s words. Weekend is here and I have a little more time to respond. I think the research you are using is flawed; interviews are a flawed method for judging motivation, as the way the questions are asked cannot help but effect the answers provided. Have you read any research that shows that Islam might be the cause? (it’s not like there isn’t any, as you seem to be suggesting) Or have you written it all off as being from racist bigot Islamophobes? Whose research, or what research, do you believe is flawed? What works are you thinking of exactly? All research I have read regarding Islamist terrorism is clear about the role of Islamist beliefs. Very often they play a critical role but the research explores why people embrace those beliefs and how radicalization happens. Not dissimilar, in fact, to the way a person comes to embrace a religious cult. And often the very heavy indoctrination in the most extreme religious beliefs comes after a person has made the decision of no return. I only have an interest in identifying the actual problems that cause terror so that an appropriate response can be made in order to effect a reduction in the scale and number of attacks (even if that response is to actively do nothing, including reducing our current responses, as your research would suggest for a solution). The research that I am referring to (and that I have addressed or linked to here) certainly does not recommend doing nothing. My recollection of some of it is that current responses should be maintained (i.e. targeted military action) but other things need to be done in addition to that. I don’t know of any research that says there should be no military action against ISIS. What concerns me is the way critics like Harris and Coyne mock and dismiss the research because they have some vague idea of some aspects of its findings yet they clearly have not read it and their characterizations of it denying any role of religious beliefs are simply flat wrong. I do not think anything needs to be feared in the current situation. I am certainly not afraid of Islam or Muslims. . . . After all, if the majority of people living in the west feel fear or threat then it doesn’t matter whether there is an actual threat, things will start to happen that I’m sure both of us don’t want (reprisals, ultra-right wing governments gaining power, etc.). Who knows, maybe the best solution to this problem is to stop the media from reporting on terrorist attacks. But then, that will cause other problems and go against core western values. Oh well, I never claimed there’d be an easy solution. Another illustration of the only way a devoted member of a “tribe” — whether religious cult or ISIS — can begin to loosen their attachment and head towards the Exit door appeared in AP’s The Big Story: Islamic State’s lasting grip is a new hurdle for Europe, US written by Lori Hinnant. Its message is consistent with my own experience or exiting a religious cult and with the scholarly research I have since read on both religious cults and terrorist groups, both Islamist and secular. Only once doubts are seeded can young would­be jihadis themselves reason their way back to their former selves. Attempting to argue them out with reason is futile. In the case of fundamentalist cults we can easily enough see why: their thinking is entirely circular. There is no escaping. All “contrary thoughts” are from Satan and to be cast down, writes Paul in 2 Corinthians 10:5. It is no different with Islamic extremists, as previous posts have illustrated. Membership of the group is the foundation of the identity of each member; the group is their family and the bond stimulates the dopamine. Life only has meaning as an active member of the group. Try talking anyone out of leaving their family and walking away from the cause that gives their life meaning. There is no reasoning with someone in the thrall of a jihadi group, those who run the program say, so the recruits have to experience tangible doubts about the jihadi promises they once believed. Bouzar said that can mean countering a message of antimaterialism by showing them the videos of fighters lounging in fancy villas or sporting watches with an Islamic State logo. Or finding someone who has returned from Syria to explain that instead of offering humanitarian aid, the extremists are taking over entire villages, sometimes lacing them with explosives. Only once doubts are seeded can young would­be jihadis themselves reason their way back to their former selves, she said. That’s how it’s done. It won’t happen immediately. At first the response to “proofs” of hypocrisy among the group’s leaders and deception in what they promise will be met with incredulity, a suspicion that the stories are all lies. But show enough with the clear evidence that the stories are not fabrications and slivers of doubts have a chance of seeping in. Some will react with even more committed idealism, convincing themselves that they will fight the corruption within. But their powerlessness will eventually become apparent even to themselves. Only then will the member begin to “reason their [own] way back to their former selves”. If beliefs determine what we do it follows that no society can allow people freedom of religion or conscience. If religious beliefs cause some people to perpetrate terrorist carnage then we have to say good-bye to the West’s short-lived experiment with secular Enlightenment ideals. That is the conclusion (and I think it is correct) of Marek Sullivan in The New (Anti-) Secularism: Belief Determinism and the Twilight of Religious Liberty. If belief really does determine behaviour as a lever triggers a mechanism, then absolute liberty of conscience makes no ethical sense. Second, anyone familiar with Harris’s writings will know he does not always talk about the necessity that freedom of speech and thought be safeguarded. In fact he often seems to be talking about the opposite, as, for example, when he claims ’the very ideal of religious tolerance—born of the notion that every human being should be free to believe whatever he wants about God—is one of the principal forces driving us toward the abyss’ (2005: 15). It follows that the principles of liberty of conscience and religious equality have to go. And it’s less easy today to hide forbidden thoughts than it has ever been before. The internet is potentially storing all the things we have been thinking about whenever we have browsed the web or communicated online. Philosophers Andy Clark and David Chalmers once coined the term ‘extended mind’ (1998) to describe the way technologies of information production and circulation (paper, pen, books, computers, the internet) blur the boundaries between self and world by extending human consciousness into the external domain. For them, our cognitive dependency on these technologies (e.g. as problem solvers or memory supports) makes it hard to tell where humans end and technology begins; this technology becomes, quite literally, us. What are the implications for human freedom of an extended subjectivity, grafted onto personhood through the prostheses of email accounts, internet histories, and Facebook, and accessible to state powers? Can liberty of conscience and the invulnerability of the private sphere survive a situation where not only is belief ‘not simply in the head’ (Clark and Chalmers 1998: 14), but the government can peer into the extended self at the click of button? Why not take Islamist terrorists at their word? Unlike his inspiration Barannikov, however, Mirsky was unable to contain himself: he told everyone who would listen that he was the attempted assassin. . . . Soon [the police arrested him]. Only a few weeks later, Mirsky was already betraying his comrades from People’s Will and writing humble petitions to the czar. His loyalty to the radical movement evaporated completely; there is even evidence he was recruited to serve as an informant for the prison authorities. . . .
Barannikov sought the thrill of adventure; Mirsky status. The two kinds of motives are often linked in experience and can be linked in theory. Gang activity is a familiar setting where certain young men seek status. In an earlier post in a series addressing factors that attract persons to extremist radical groups, Terrorists on Status Seeking Adventures, I did not discuss Mirsky. But this morning I caught up with a detailed investigation into another (ex)Islamist radical I have posted on a few times and am struck by some similarities. The contemporary example of someone who was driven by a pursuit for social status in his involvement in an extremist Islamist group appears to be Maajid Nawaz. 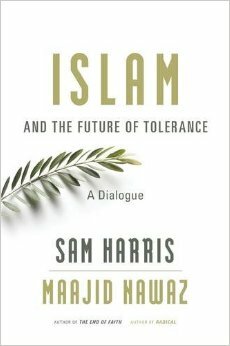 In at least one of those posts I did wonder why Maajid Nawaz appeared to approve of being a billed as an equal joint author (with Sam Harris) of a book in which some of Harris’s more extreme views went unchallenged and were even further promulgated through the advertising of a book whose arguments are opposed by Nawaz. 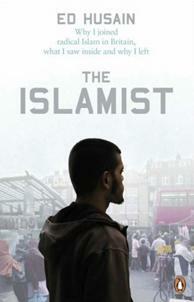 Maajid Nawaz bases his credibility on a compelling personal story, but how much of it is true? 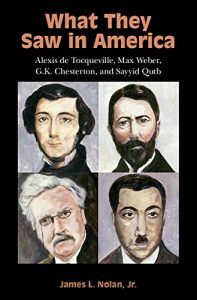 The Cult of Jihad: A Practical Theology Perspective on ISIS, a scholarly guest post by Joel Day and Scott Kleinmann in Political Violence @ a Glance (Expert Analysis on Violence and Its Alternatives). (3) the ways in which explanations of the causes of violent behaviour in NRMs are pertinent to securing a more systematic and complete grasp of the process of radicalization in terrorist cells. The latter discussion focuses on the role of apocalyptic belief systems and charis- matic forms of authority, highlighting the behavioural consequences of this danger- ous combination and their possible strategic significance. . . .
Another new article of related interest is What Does It Mean If An Attack Is ‘ISIS-Inspired’? Many people at some time face a crisis that leads them to question their life-long assumptions and beliefs and opens them to a willingness to seriously consider radically new world-view perspectives. Crises can vary from death in a family to a feeling of not belonging in one’s “homeland”, a result of the combination of experiencing racial discrimination and alienation from the foreign culture of one’s migrant parents. The relative few who are led to intellectual agreement with extremist views through this process are still a long way from turning their backs on society to the extent that they are potential suicidal mass murderers. That’s where “culturing” enters the picture. Through regular classes “seekers” are socialized into the movements ideology. We have seen how these classes and related activities increasingly consume so much of the individual’s time that there is little room left for serious arms-length reflection on the direction into which the path is leading. And it certainly helps when the seeker has had little or no serious religious engagement prior to encountering the new movement and against which they would otherwise be more capable of assessing the new teachings. The Islamist extremist (and the member of other religious cults as well) sees him or herself as belonging to a pioneering vanguard of a new way of life that with the authority of Heaven is destined to replace all “human systems”. In the case of the Islamist (the term refers to one who believes in politically imposing Islamic law over society) that new way of life or ideology is destined to replace Capitalism and Democracy (the two go together in Islamist thinking). Democracy is interpreted as an anti-godly effort to replace God as the law-giver and ruler of society. 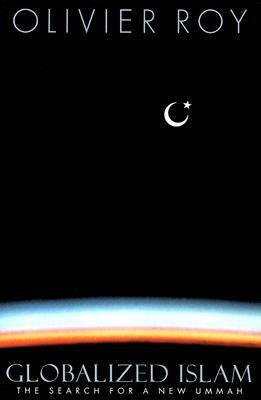 The mind-set that is inculcated as part of the “culturing” into the extremist movement’s revolves around its own sectarian interpretation of tawhid, or the “oneness of God”. Since God is the only lawgiver then anyone who supports democracy or even follows the wisdom of mainstream imams is said to be worshiping authorities other than God. We saw how some of this works out in detail in the previous post. — Recall that Islamic regimes in the Middle East are judged to be apostate because they countenance some form of democracy and enforce laws that are inconsistent with pure Sharia. Other Muslims, moreover, argue that judging others as apostate is akin to murdering them since without the utmost stringent proofs only God can know the mind of another. We look now at the ideology into which Islamist extremists are “cultured”. The ideology into which they are ever more deeply immersed through regular meetings, classes and activities, Wiktorowicz argues, is what leads them ever closer to the point of believing that their own personal salvation depends on a willingness to lose everything in this life and even to make others pay with their own lives, too. We begin by looking at the source of the extremist’s ideology. The Quran is not enough for their ideological needs.